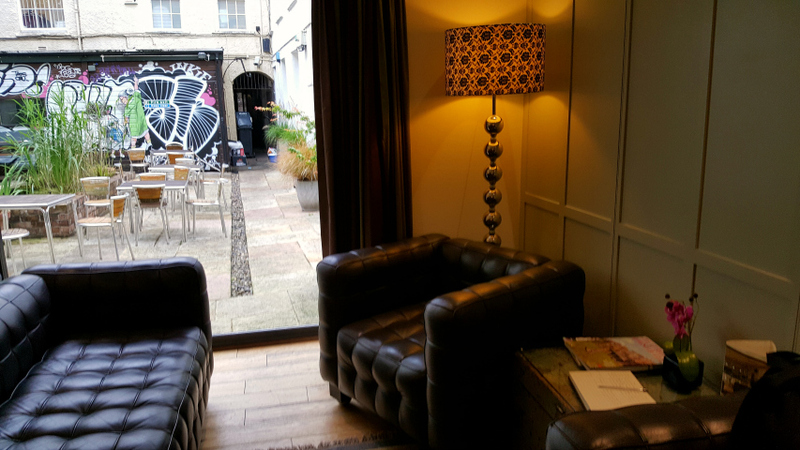 Last week I spent an evening at Brooks Guesthouse Bristol and what a lovely night it was. I am breastfeeding, so Lottie of course came along. That girl gets to go to some seriously exciting places, although when I showed the videos of BritMums Live #BML16 to Aaron he was disgusted with her raspberry blowing and said with disdain "why did you bring her?" "you should have left her with me and Daddy!" - oh dear I have passed my high standards on to him. But back to last week. It was organised by the amazing Heather Cowper. 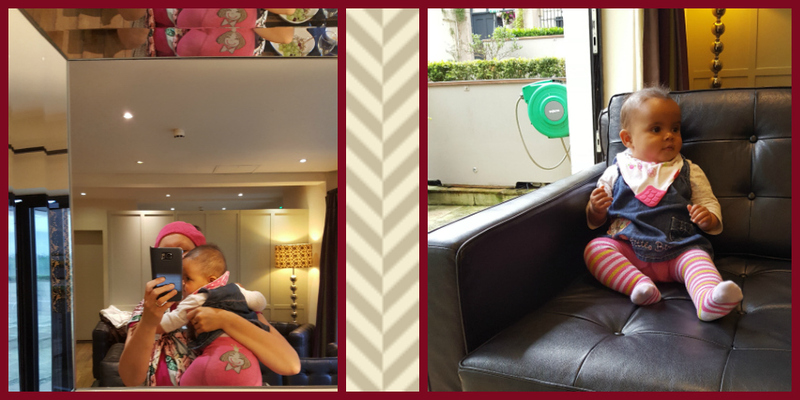 A bloggers' networking event that gave us the opportunity to have a drink, some nibbles and a snoop around the guesthouse which turned out to be far from ordinary. Even more of a shock when you went there not knowing what to expect. My favourite pic of the night which I posted on Instagram is below but this is the full size version in all of its glory, without the limitations of the square. Yep in Bristol street art is everywhere although normally it isn't quite as tag like as this piece. What you see above is the lounge which is adjacent to the bar and breakfast/dining area in a very bright and spacious open plan arrangement. It felt bright and airy even with all of us bloggers there. 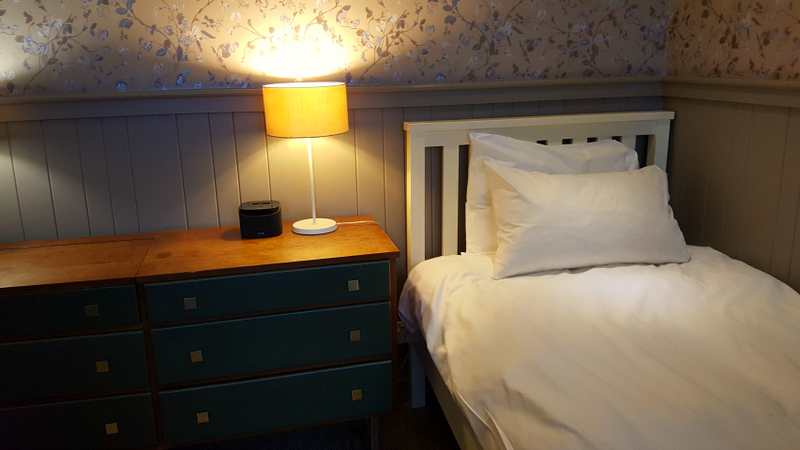 This is a boutique style guesthouse where the owner has handpicked each and every piece of furniture so that it tells a story and compliments the theme she is aiming to create. If you love interiors you will be very at home here. She deliberately allows the establishment to be extraordinary to represent the city that is its host. The cost of staying is SO affordable given you are literally in the very heart and hub of the City - when you are on the roof you literally look down and into the famous St Nicholas market. The guesthouse knows only too well what it has to shout about and proudly boasts its bragging rights here: Why Choose Brooks. 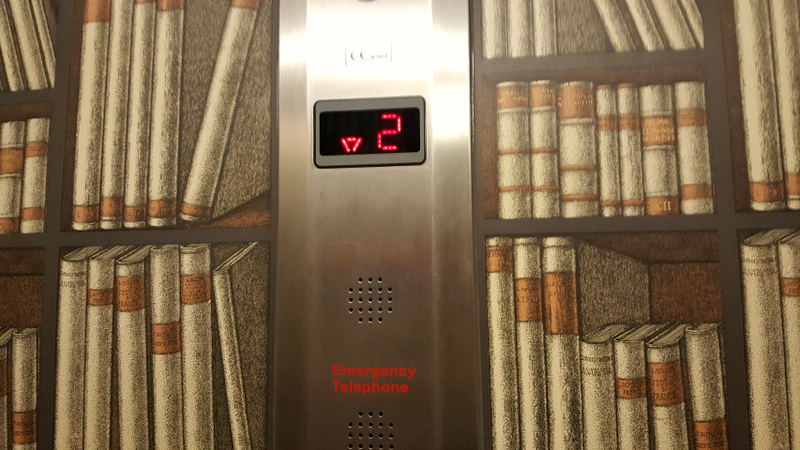 That journey in the lift took us to 3 beautifully cosy rooms that I know I would be very at home in. Warm, inviting, impeccable interiors, a certain quirkiness and spotless. If the same-i-ness of the big chains leaves you with disdain-i-ness, then this is the intimate place for you, where you feel like you're staying with an old friend. This, above, was the very first room we viewed - a triple room with 3 singles. 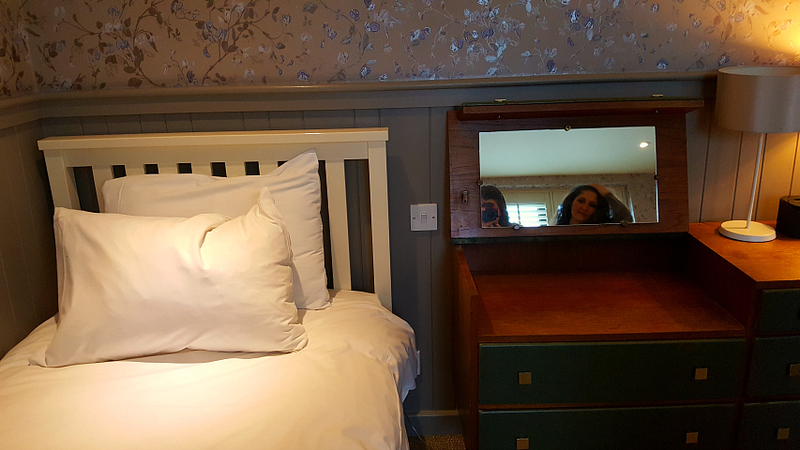 I loved the Cole & Son wallpaper, the crisp white inviting bedding, and the wooden tongue & groove wall panelling. But little did we know, this room was hiding a secret. You see those bedside drawers above? Well they conceal a vanity unit. Take away the bedside lamp and open the lid. I thought it was going to be a desk or a writing bureau but no! There is a mirror inside the lid perfect for you to sit and do your makeup or if you are a blogger take whacky selfies with the room as your backdrop. The best was yet to come though, as we were taken up to the room and the USP of the guesthouse was about to assault my eyes. I was quite literally blown away and given the weather conditions I very nearly was! Joking! But yes, Summer did temporarily leave us for a few days and it was drizzly that night. 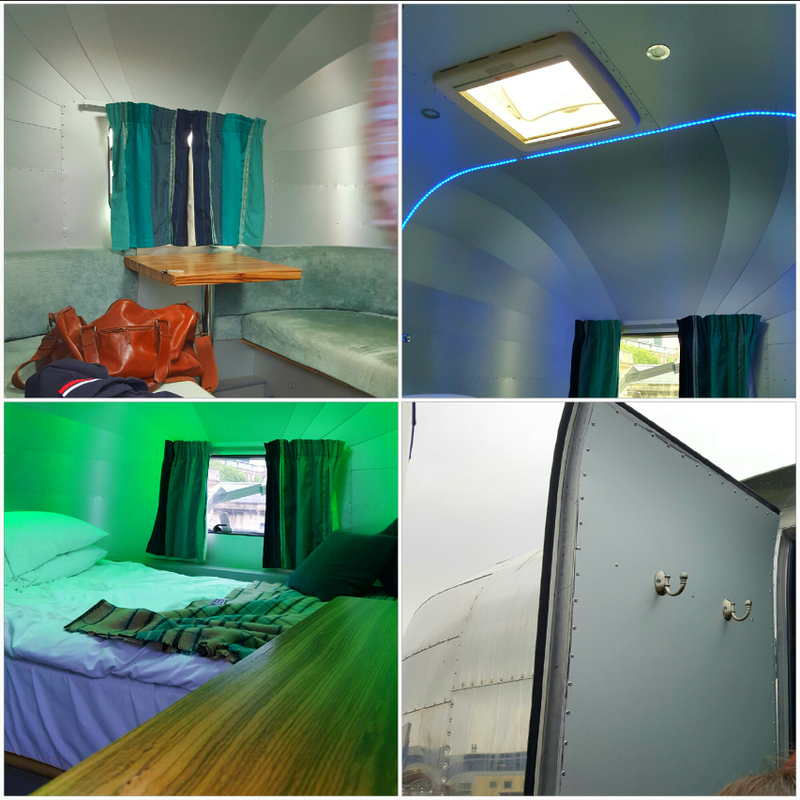 On the roof of Bristol's Brooks Guesthouse are FOUR American style Airstream (Rocket) caravans. They are so retro and so remarkable. Even more news worthy is the journey to get them up there! Now on the night itself we had no gossip*. Nobody snogged anyone! But upon posting our photos, as a group, on Instagram, it soon came out, in the comments, that Bristol's very own Queen of blogging Fritha got engaged at the caravans. *Actually that's not strictly true. Although no gossip was created that night, I did hear some, but then that's always gonna happen when a group of bloggers get together! A gentleman came out of his "room" only to bump into a gaggle of bloggers and he let us have a looksie. Thanks so much to him. Of course there wasn't a free one to look at! With style this good, they are of course often fully booked. Book in advance to save disappointment. There are 16ft, 18ft and 20ft rockets to choose from! Affordable luxury meets country house glamour, this is a perfect retreat to escape modern urban life. The hotel is newly refurbished from top to toe, combining the best of local British food, fine wines and cool, classic design with warm, genuine hospitality. Brooks Country House is a stunning 22 bedroom Georgian manor house set between Hereford and Ross on Wye. The manor house, once at the centre of a 1000 acre estate, sits on 13 acres in the Wye Valley – an area of Outstanding Natural Beauty – and overlooks an expanse of former parkland, now owned by the National Trust. In a beautiful corner of rural Herefordshire, this is the best of British countryside: swans on a lake, pheasant and ducks, lambs on undulating hills, mature trees and dreamy views in every direction. The quaint towns of Hereford and Ross on Wye are a stone’s throw away. So sadly then it was time to call it a night and as with most social engagements I was the last to leave which gave me a chance to speak to the lovely lady on night duty. She had the same warmth and attention to detail as the guesthouse itself. 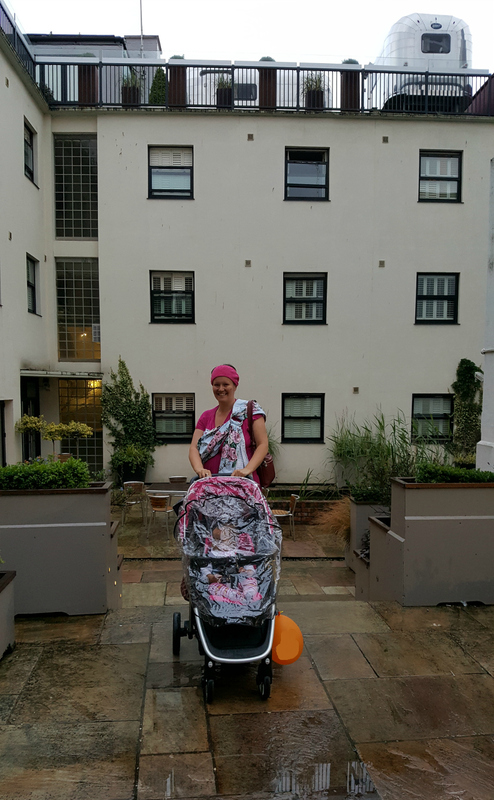 Helped me outside with my buggy and baby. She also took this fab pic for me, which shows you, the caravans really ARE on the roof!!! With stunning rooftop views of the heart of Bristol and beyond. Lottie really enjoyed her first foray into travel blogging. I hope this new endeavour takes us to lots of new places. If you would like to see more of the night then we all shared pics across social media under the hashtag #BBBrooks. Brooks has guesthouses in Edinburgh, Bristol, Hereford and Bath, with Hereford being the newest. Disclosure: this is not a paid for post. All opinions and photos are my own. 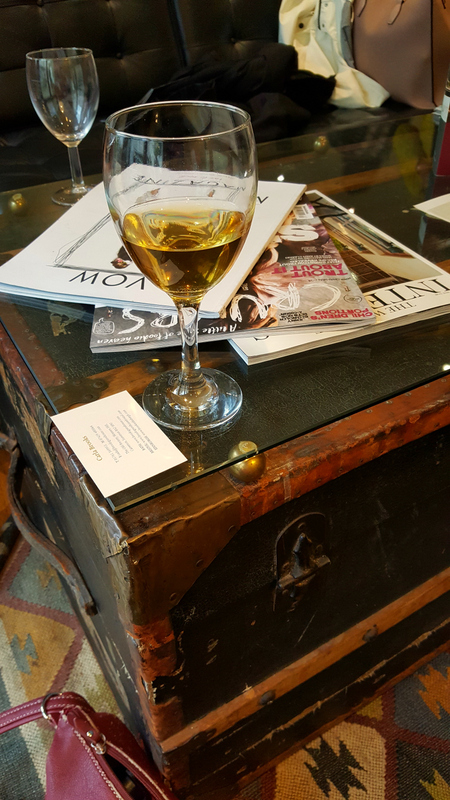 A group of us were welcomed for a bloggers' evening 30th June, by the owner of Brooks. ha ha if I told you I would have to kill you *joking.